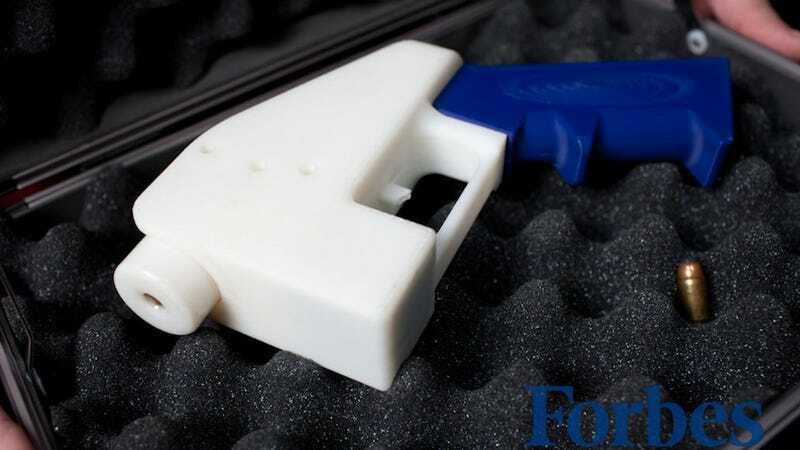 Philly, First US City to Ban 3D Printed Guns "Based On Internet Stuff"
On Thursday, Philadelphia became the first U.S. city to enact a ban on 3D printed guns. It's a pre-emptive move, because so far there hasn't been a single report of 3D printed firearms showing up in Philly. As an assistant to the bill's author told Philly Magazine, "it's just based on internet stuff out there." That's a bit of a head-scratcher — there's a lot of internet stuff out there, could you be more specific? And it's not really clear how City Council would even enforce this, since 3D printers themselves are not illegal. Governments seem to have a hard time figuring out 3D printed weapons: U.K. police mistakenly thought standard 3D printer parts were gun components in the making, while here in the U.S., the feds' attempt at a 3D printed gun literally blew up in their faces.